Yay! Smashing!! KISS? Yes. Less is More.. Ludwig Mies van der Rohe. Yes, yes, yes! That is what I’ve been saying for a looong time. 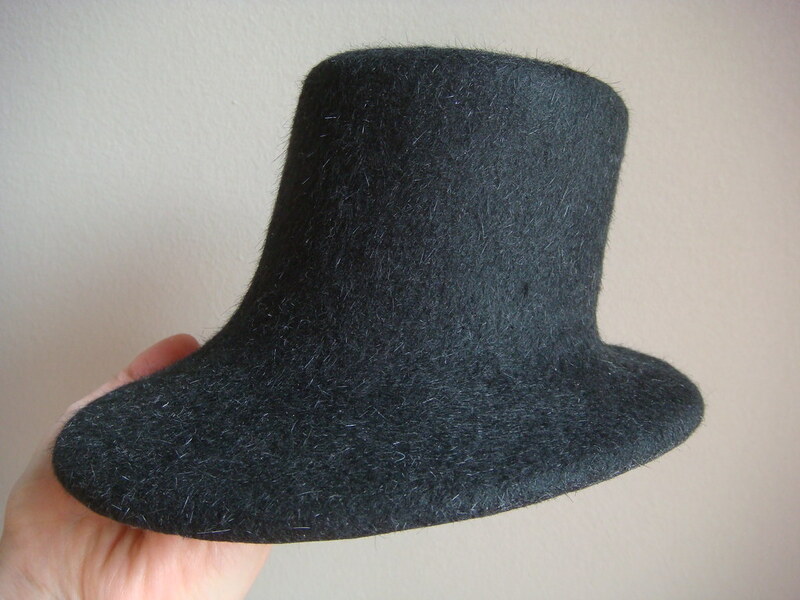 I love the beautiful shape of a hat with very little on it. I hate it when a hat looks like it has ‘tried’ too hard to be attractive. (OK, the milliner ‘tried’ too hard, not the hat.) Give me a lovely sweeping line any day!! All right. You’ve confirmed my suspicion that the feathers just have to go. You don’t have to go to so much trouble with the blocking. Take that felt (I assume you’re using good millinery felt) and just soak it through with hot hot water. Pull as you wish. Seriously. You won’t hurt it. 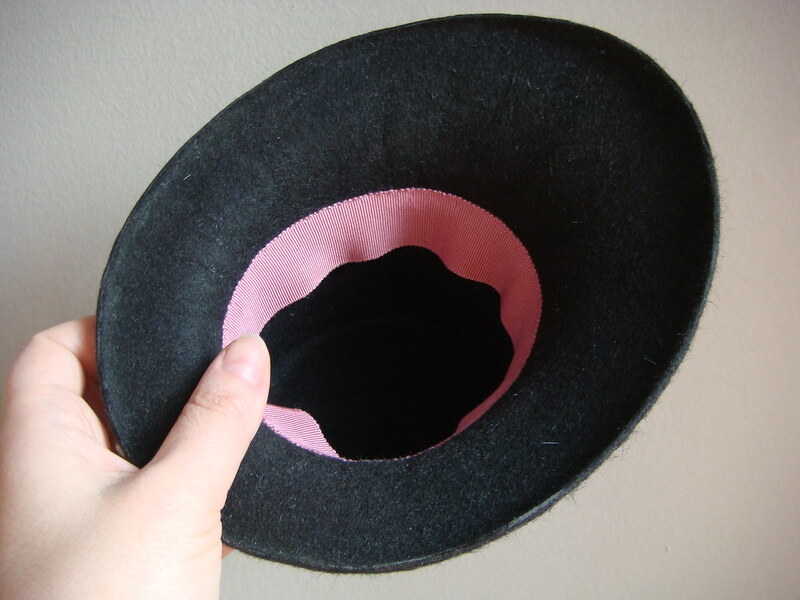 I predominantly make felt hats, and have only torn one (and that was my 3rd hat I ever made). I agree about simplicity. The most pleasing hats I have made have been very simple but they are without doubt the most difficult. There is nowhere to hide! No feathers or bows to cover the dodgy bits. A beautiful hat with clean lines is something to aspire to. I love your felt mini hat and the fact that you made the block too is inspiring. Solo queria darte las gracias (creo que ya lo habia hecho,pero como no estoy segura,lo vuelvo a hacer,ji)por tu blog!estoy aprendiendo un monton de cosas que de otra manera creo que nadie me hubiese contado!porque experimentar,esta muy bien,pero de vez en cuando se agradece muchisimo que te expliquen algunas tecnicas. Love your little Mini Hat and I totally agree with the Less is More principal. Globbing a bunch of stuff on a form is not “designing” hats in my book.